Jayson Myers is an award-winning business economist, specializing in industrial and technological change, and has been widely recognized as one of the most influential policy advocates in Canada. He is an advisor to both private and public sector leaders, and has counselled Canadian prime ministers and premiers, as well as senior corporate executives and policymakers around the world. With more than 25 years’ experience building alliances among businesses, academic institutions, as well as community, labour, and advocacy organizations, Myers has been instrumental in shaping the public policy environment in Canada. Between 2007 and 2016, he served as President & CEO of Canadian Manufacturers & Exporters, Canada’s largest industry and trade association. He was also the founding Chair of the Canadian Manufacturing Coalition, Vice Chair of Canada’s National Roundtable on Skills, and Vice Chair of the Ontario and Great Lakes Manufacturing Councils. 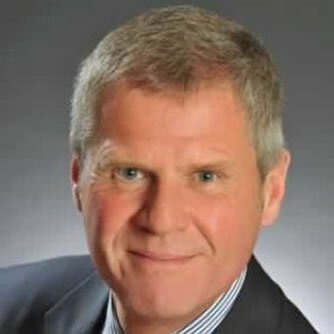 Myers currently Chairs the Global Gateways Federation, and is an advisor to legal and consulting firms in Canada, the United States, and the United Kingdom. As Principal of Jayson Myers Public Affairs Inc., he helps organizations identify and manage opportunities arising from the changes that are reshaping industry and international business.